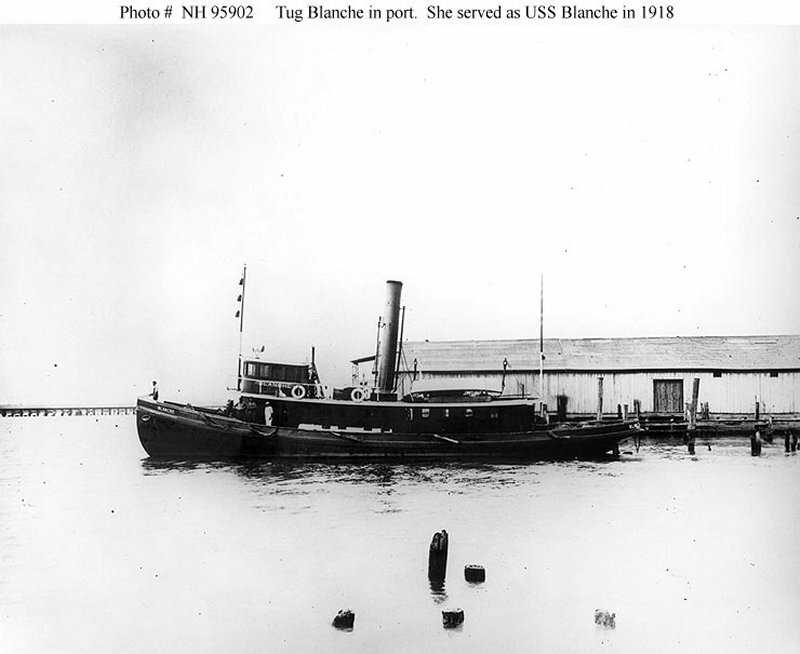 Tug: Built in 1878 by William Cramp and Sons, Philadelphia, PA; Acquired by the Navy 26 August 1918 and commissioned the same day; Decommissioned 5 December 1918 and returned to her owners. Fate unknown. Specifications: Displacement 94 t.; Length 83'; Beam 17' 9"; Draft 9' 3"; Speed 10 mph; Complement 10; Armament none. 60k In port, circa 1918 or earlier. 59k In port, possibly when inspected by the Fifth Naval District on 18 June 1918.